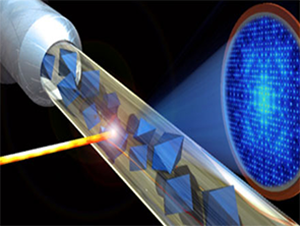 Description: X-ray free-electron lasers based on powerful mile-long particle accelerators can peer deep into molecular structure and the ultrafast timescales of chemistry. Dr. Graves is working toward a compact version that can fit in a room. In this webinar we will look briefly at the history of the development of this type of laser and then explore the science, physics, and technology behind the operation of this very unique device. These short x-ray laser pulses can capture the motions of molecules and can look at the molecular structure of living systems. Associate Professor William Graves joined the Department of Physics and Biodesign Institute at Arizona State University in 2015. He came to ASU from Massachusetts Institute of Technology (MIT) and Brookhaven National Lab, where he spent more than two decades developing novel x-ray light sources. Professor Graves holds four patents on x-ray light source technology and has published more than 70 papers on the science and technology of electron beam and x-ray production. 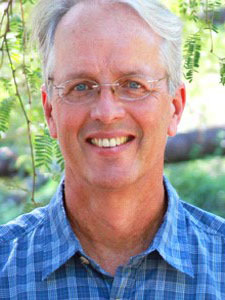 He enjoys many outdoor activities including sailboat racing, birding, hiking, biking, and gardening.